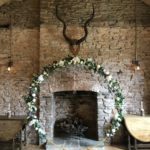 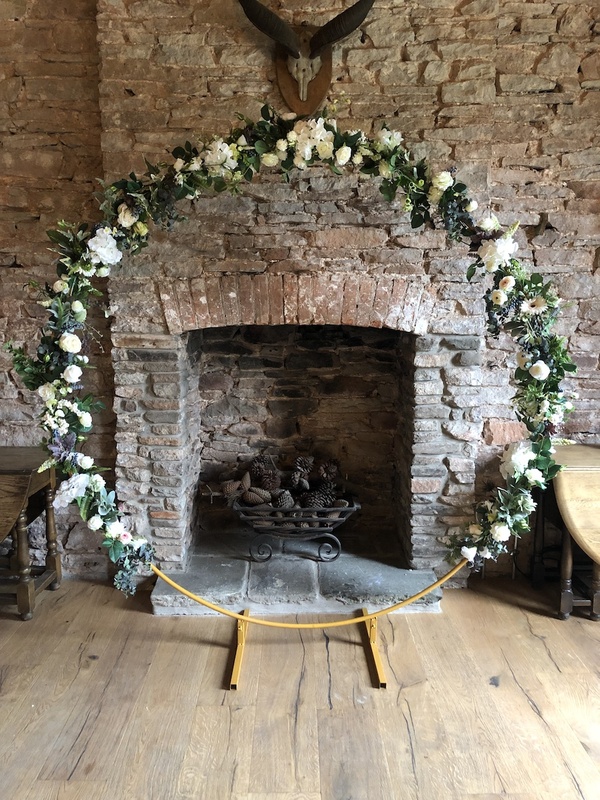 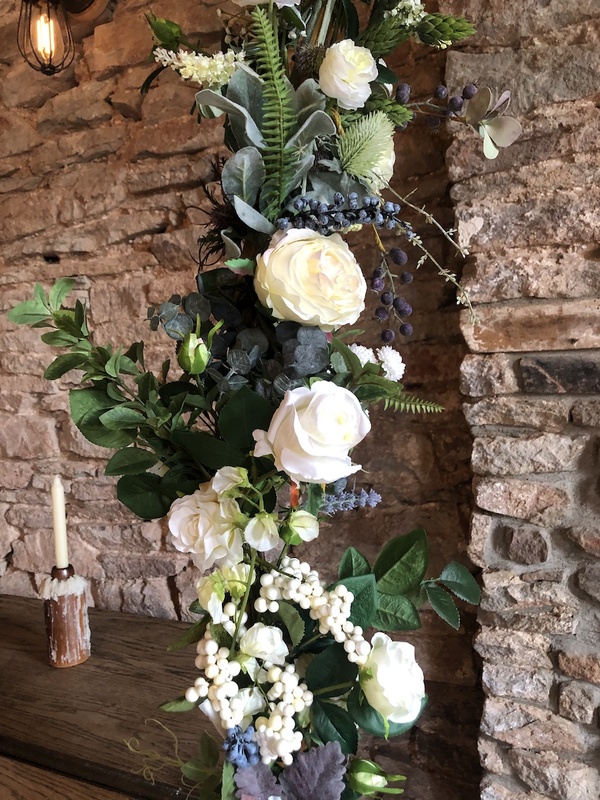 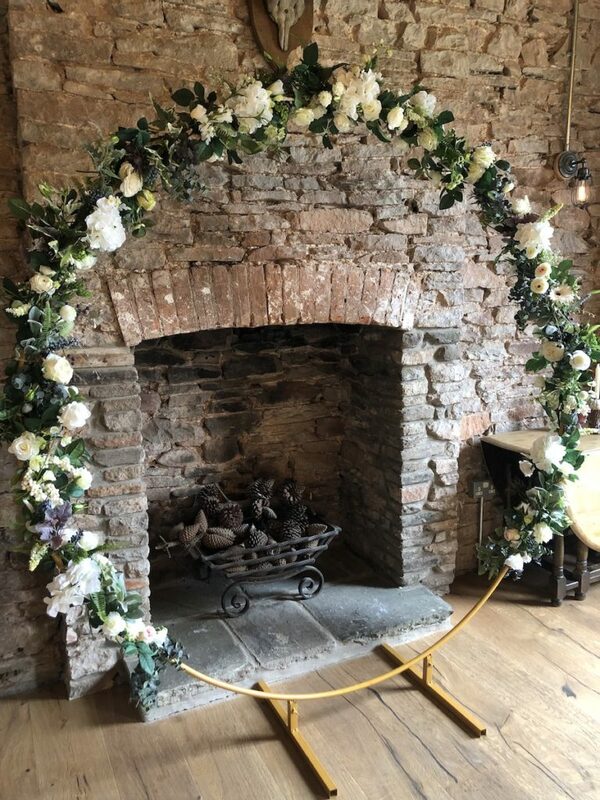 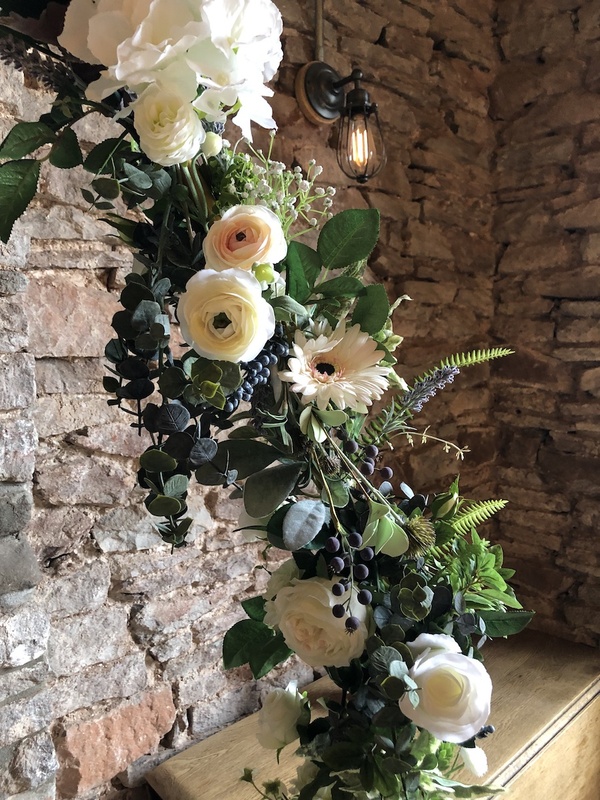 New for 2019 we have a stunning 6ft floral hoop for hire. 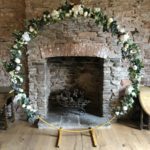 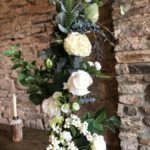 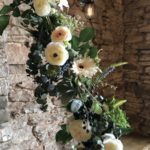 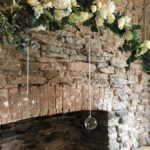 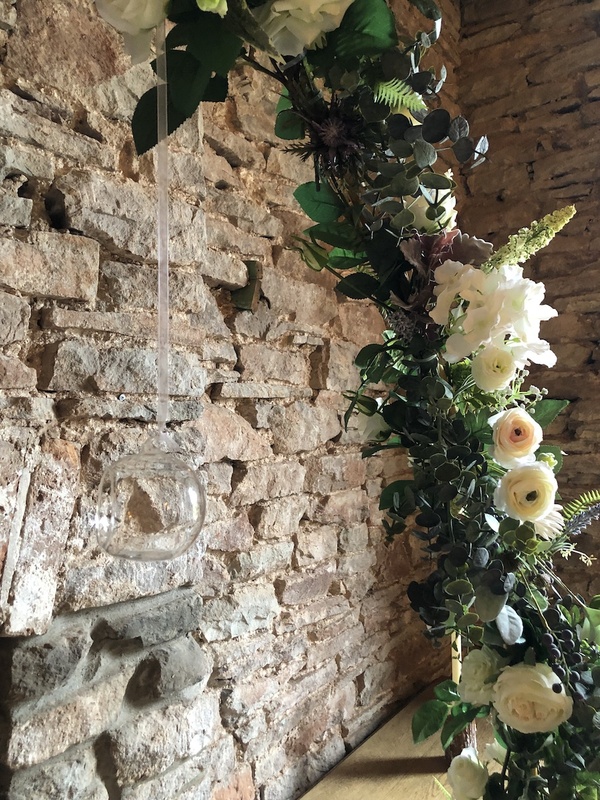 The hoop is made from metal so very durable, and comes covered in wild artificial silk flowers, which can be tailored to incorporate your colour scheme. 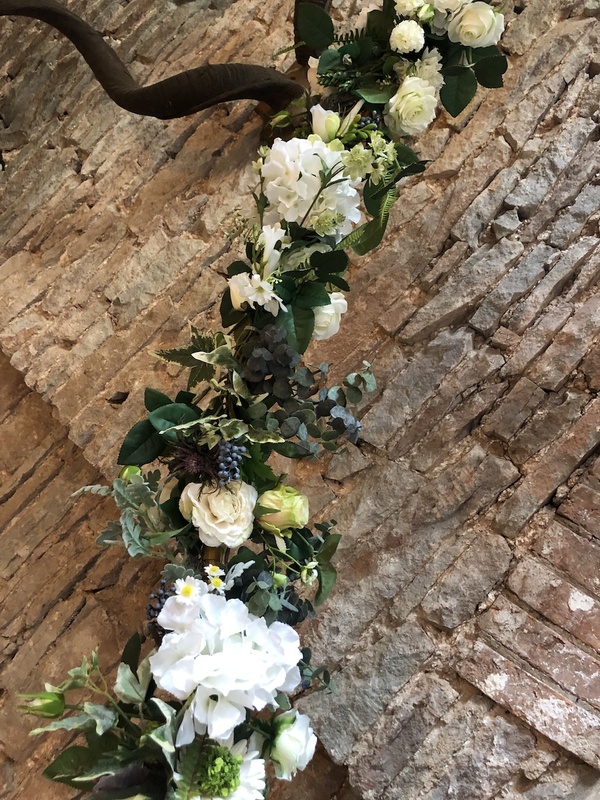 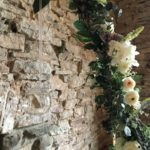 This is a perfect alternative to a flower wall backdrop, and something you’ve not seen before! 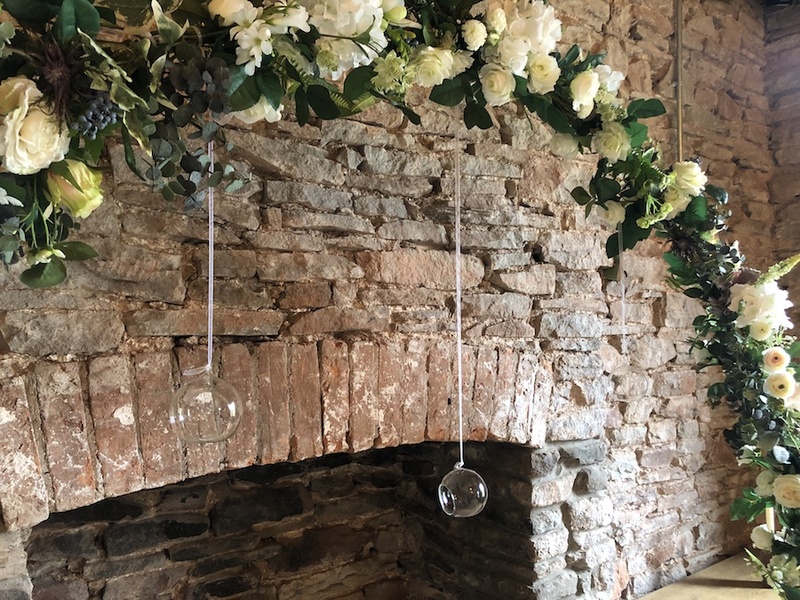 Or a great setting for your wedding cake (or cakes) – what a display! 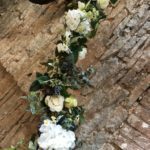 It can be used however you wish. 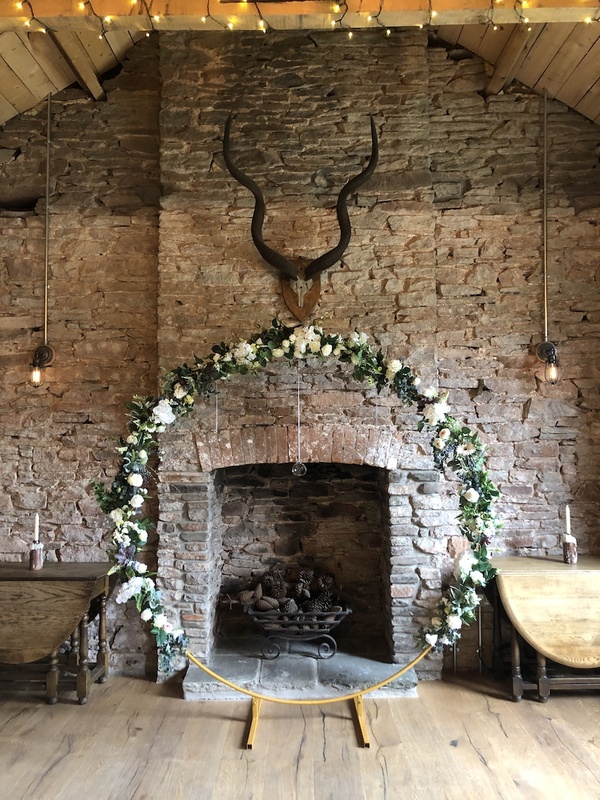 Our unique floral hoop is available to hire at £125, and is sure to give your guests something to talk about.